Since 1901, when Joshua Lionel Cowen launched his company by creating a small number of electrified toy trolleys for department store window displays, Lionel has been the leader in toy electric trains. Lionel's success is based on excellent engineering, durable construction, numerous accessories, and great play value. 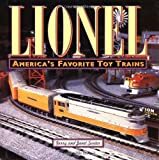 This colorful volume Lionel: America's Favorite Toy Trains illustrates the history of Lionel electric toy trains, and it's an interesting history indeed. The author writes that "Lionel has survived competition, inflation, two world wars, the Great Depression, financial scandal, receivership, rampant nepotism, material shortages, off-shore production experiments, dubious corporate acquisitions, management blunders, marketing blunders, the decline of the railroads, Roy Cohn as CEO, loss of its distribution network, loss of its primary customer base, Sputnik, acquisition by a cereal company, spin-off to a toy company, purchase by a millionaire hobbyist, and the computer chip revolution. Today, the name Lionel still means electric train.". The book explains how Lionel stayed alive during the Depression when they teamed with Disney and marketed electric Mickey Mouse handcars, and learn of Lionel's greatest years in the 1950s and 1960s. Lionel's resurgence in the 1990s was just in time for the company's 100th anniversary celebration in 2000. A chapter takes a look at the competition that Lionel often felt nipping at its heels. 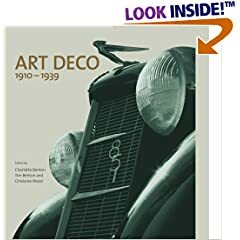 All through the book paragraphs are devoted to comparisons with Carlisle & Finch, Ives, Hafner, American Flyer, Dorfan, Marx, and today's competing brands. Each of these peeks at the "other brand" relates that manufacturer's production to the fortunes of Lionel and helps the reader understand Lionel's response to the threat. Author Gerry Souter learned about trains at his grandfather’s knee in the New York Central roundhouse in Buffalo, New York, and sprawled next to his own Lionel trains beginning at age eight.